WON’T IRRITATE Your Scalp and you’ll feel refreshed and clean; a little goes a long way! Is there a conditioner version of this? Purified water, sodium C14-16 olefin sulfonate, cocamidopropyl betaine, Hamamelis virginiana (witch hazel) extract, Rosmarinus officinalis (rosemary) extract, Anthemis nobilis (chamomile) extract, Salvia officinalis (sage) extract, Equisetum arvense (horsetail) extract, Urtica dioica (nettle) extract, Lavandula angustifolia (lavender) extract, Aloe barbadensis (aloe vera) leaf juice*, Lavandula hybrida (lavandin) oil*, Citrus aurantium (sweet orange) oil*, Melaleuca alternifolia (tea tree) oil*, Rosmarinus officinalis (rosemary) oil*, Mentha piperita (peppermint) oil, panthenol, ascorbic acid, citric acid, niacin, soy protein, inositol, biotin, vegetable glycerin, sodium benzoate, potassium sorbate, ethyl hexyl glycerin. 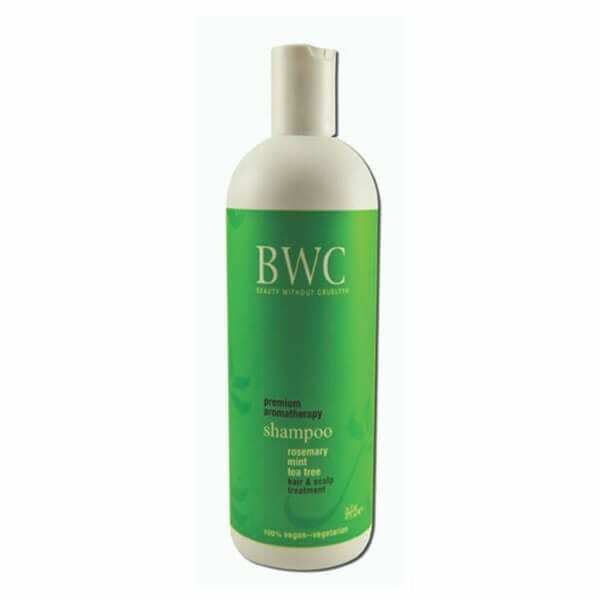 You’re going to love the refreshing smell of this rosemary, mint, and tea tree shampoo as it nourishes your hair!